Hired Gun Weed & Pest Control LLC. Hired Gun Weed & Pest Control LLC, is the premier weed and pest control service supporting the Northern Colorado region since 2004. We provide chemical, biological and cultural treatments to properly handle each project. Hired Gun is a full-service land management company, ranging from residential and right-of-way to commercial and open range. We are your company for Weed & Pest Control, Mowing (Large & Small Acreages), Snow Removal, Prairie Dogs, Oil & Gas Weed Management, Fly & Mosquito Control and Excavation. 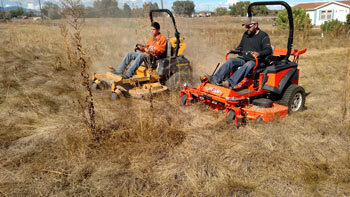 Quick, thorough and affordable, Hired Gun Weed & Pest Control LLC is the professional team you need for each season. There is no job too small or too large for us to handle.